The Trump administration has another first for America. It wants demonstrators to pay to use public parks, sidewalks and streets to engage in free speech.The effect of taxing protesters in the nation’s capital will be to restrict access for First Amendment activities to the very few who can afford it. Participatory democracy will be no more. Interior Secretary Ryan Zinke in August announced the White House’s rewriting of regulations governing free speech and assembly on public lands under federal jurisdiction. The National Park Service will charge protesters for so-called event management expenses. Barricades and fencing that police may erect, trash removal, sanitation charges, permit application charges, salaries of personnel deployed to monitor protests, as well as cost deemed harmful to turf. The Park Service claims protest-related costs are burdensome, and said that last years Womens March imposed a pretty heavy cost on the government. 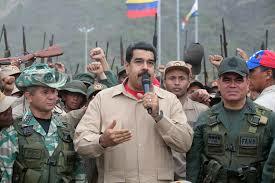 Recently people in the Trump administration held secret meetings with certain military leaders of Venezuela to discuss plans to overthrow Venezuelan elected president NicolasMaduro. The White House said in a statement that it was important to engage in dialogue with all Venezuelans who demonstrate a desire for democracy in order to bring positive change to a country that has suffered so much under Maduro. The economic situation in Venezuela has been dire. This has been exacerbated by a US financial embargo. It is estimated that 1,600,000 people have left Venezuela since 2015. Guest – William Camacarois a Venezuelan living in New York City and a senior research fellow at the Consul of Hemispheric Affairs, Washington DC best non-governmental organization founded in 1975.Camacaro is a cofounder of the Alberto Lovers Bolivarian Circle of New York, an organization founded in solidarity with Venezuela.